How do advanced active safety features increase overall car safety ratings? In the case of 2017 Kia Cadenza, when equipped with optional “front crash protection and specific headlights,” Kia’s premium 4 door earns the highest safety rating possible, in IIHS rankings. Read my latest 2017 Kia Cadenza drive and ride review here. 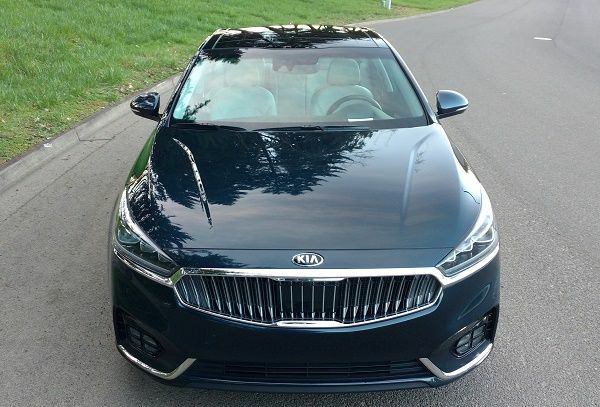 2017 Kia Cadenza finds itself in good company as the Kia brand continues garner market share in North America, with a recently acknowledged 30%+ increase in consumer interest in 2016/2017. Not to get too far off the subject at hand, I’ve driven most if not all of the Kia lineup over the past 3 years, and find the Soul EV to be the most intriguing. It too presents an exceptional value..